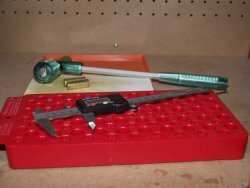 This article will get you on your way with reloading your own rounds. Reloading your own rounds can save you money, but most people reload to obtain rounds which are customised to fire accurately in your rifle. The first thing I always suggest to people is to try and find a friend or someone at their club that reloads to show you how they reload. You can also find DVDs sold on e-bay and even free on youtube showing how people reload. Secondly, I advise people to buy a book on reloading called "The ABC's of Reloading" which takes you step by step how to set up your press and make rounds. It includes sections on rifles, pistols/carbines and shotguns. The heart of your set up will be your press. These are either single stage (one die) or turret press which holds three or more dies. 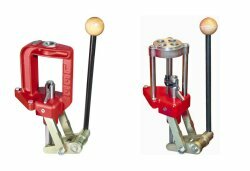 The advantage of a turret press is you can perform several operations without having to remove and reseat the dies. Plus, if you reload multiple calibres you can keep the dies in the turret always ready. 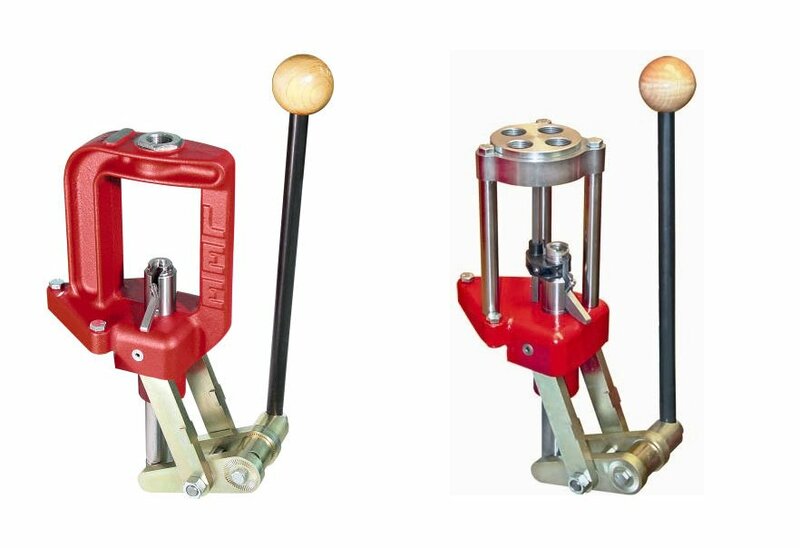 Both types of press reload accurately. I prefer a turret press as it speeds up my reloading and I shoot four different calibres. The question then arises, what do I need to buy to get set up. You can get started for about £100 and start reloading. There isn't really any limit to what you 'can' spend! Most of the manufacturer's dies and presses are interchangeable so you can buy second-hand equipment and confidently expect them to work together. The main suppliers are Lee, RCBS, Lyman and Hornady. Kits are available that include all the equipment you need, excluding dies. 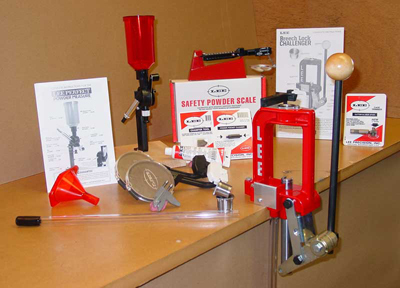 The Lee Anniversary kit includes a press (both types available), case lube, case preparation tools, primer seater, powder funnel, powder thrower and scale. You will need to buy a set of dies to match the calibre you want to reload and case length gauge for the trimmer (again to match your calibre). Dies are used to deprime and resize the case, seat the bullet and crimp. Some pistol calibres have special dies to flare the cases and allow powder to be loaded. I would suggest getting both full size and neck sizing dies. Full size can be used to resize cases not shot in your rifle and neck sizing is used for your own cases to just resize the neck and prolong the life of the case. 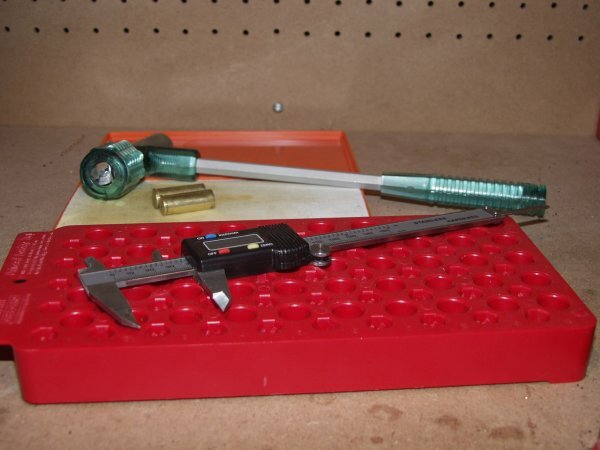 The crimp die is also not essential, but highly recommended if your rifle has a magazine. There are a couple of things I suggest you get that are not in the kit, but they aren't essential. Your choice of bullet will depend on the type of shooting you plan to do. Simply put you'll need Full Metal Jacket (FMJ) for target work and hollow point for hunting. Both target and hunting ammo also comes in ballistic tip, for example the Hornady A-Max (target) and V-Max (hunting). To purchase hunting bullets you will need hunting ammo on your FAC, plus they can't be posted. The weight you choose is also important, make sure its suitable for the twist rate of your rifle. The heavier (and therefore longer) the bullet the higher twist rate you will need.